Ken & Lynn Wier, owners of i2i Design. i2i Design, a woodworking company based in Wooddale, IL, dedicated to using urban wood to make custom furnishings, is featured by FDMC magazine, a leading national industrial woodworking publication. 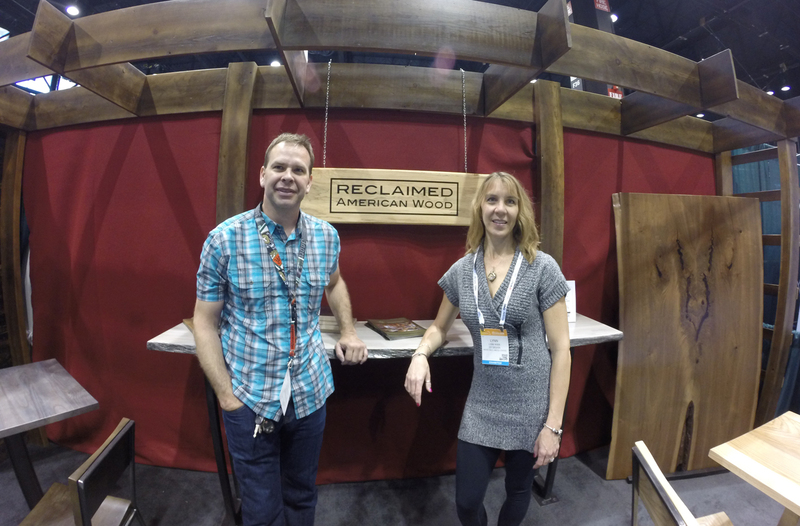 The article chronicles how Ken and Lynn Wier got introduced to urban wood utilization and how they have grown their niche business crafting products for Starbucks, Marino’s, a Chicago area grocery chain; and Freshii, an up-and-coming restaurant franchise. The story was recently posted on FDMC’s website and will be featured in the publication’s September 2016 print edition. Read the HTML version of the FDMC story about i2i Design. Read the digital magazine version of the FDMC story about i2i Design.